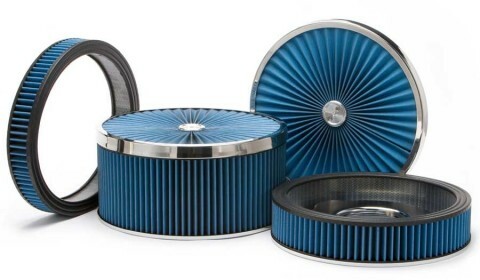 AMSOIL Ea Carbureted Engine Air Filters & Kits Specially designed for racing and street rod enthusiasts who desire Ea protection in carbureted applications. 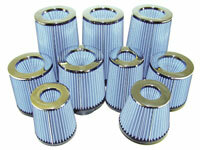 Designed for use with carbureted engines that use a 14-inch round element air cleaner housing. Cleanable and reusable. Use PART NUMBER drop down to select. 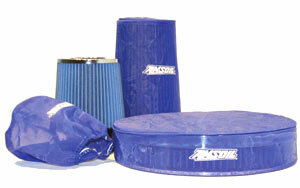 AMSOIL Ea Universal Air Induction Filters Designed to replace stock oil-wetted gauze or foam conical filters that were supplied with custom induction systems produced by K&N, Injen, S&B, Green, AIRAID, AFE, TrueFlow and more. 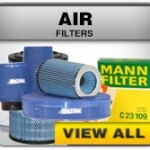 Offer better efficiency, excellent airflow and are cleanable. Use PART NUMBER drop down to select filter.